Our Families n Our Outlook On Life. We Offer Blessing To Many Who Come To Us For Advice, Help Or Just Loving As Family Members. My We Start This Day Of Our New Years With Good Thoughts To Carry Us Into Our Native New Year. Much Blessing To Everyone With Love Always." people will observe the Ancestor Ceremony. Some of you have asked how they can conduct the ceremony. While the Internet is hardly the place to teach or even discuss ceremonial practices, this is more of a family observance. The formal ceremony is one that has been passed down through your family. If none has been passed down, the simplest thing to do is to set an extra place at the table. This is in addition to the "spirit plate" that is prepared and taken outside to share hospitality with any creatures that care to partake. or reviewing the photo album and family tree. but who tradition says will be waiting on the other side to greet us. especially not to "call" them back, but rather to let it be known that there is plenty of food, and all are welcome. complete with table and chairs. would say prayers in Cherokee over the headstones of the eldest ancestors. and a covered dish dinner held. Just why this had to be done in Freezing Mountain February never made sense to this reader. She was able to recall details, even though none of the family had taken the time to explain what was happening to the youngest child. One thing is to share parts of the ancestor’s lives... bringing out heirlooms they left. I have wooden candlesticks made by my carpenter grandfather, a steak knife from the family restaurant. Usually we’ll have cherry vanilla ice cream, because it was dad’s favorite. For those of you carrying an old tradition this weekend, bless you. For those of you renewing or initiating it, my best wishes. But either way, please take the time to explain it in ways that even the youngest among you can understand. are the true way to keep traditions alive. Blogs and mailing lists are a poor substitute. 2. Crisis of civilization - world government, capitalism, socialism, community, culture of life. 7. Living well as a solution to the global crisis because we affirm once again that to live better, we can only live better by not plundering our natural resources. This is a profound debate that i would like to have with the rest of the world. community learning, the new human being, a holistic approach, the end of patriarchy, self knowledge, awakening, and of course health - which is so important. -And I would like to say that according to the Mayan Calendar the 21st of December marks the end of the non-time and the beginning of time. It is the end of the Macha & the beginning of the Pacha. It is the end of selfishness & the beginning of brotherhood. It is the end of individualism & the beginning of collectivism... the 21st of December this year. -We have an obligation as delegates... we have to think about how to shoulder the responsibilities and this means... putting an end to powers - we are not at a time of continuing to praise the powers. -I wish to commend the statements which questioned interventionism, military bases & troops. There will only be social peace when we change these economic policies and put an end to military bases and interventionism. My respect goes to those who resist the military intervention of powers. That is not a solution, that is something we have learned. That is why we hope that these debates will serve to think about life & about humanity. [6:56:22 AM] Thubanis: R.D. has not banned you yet? [7:09:54 AM] S: 1st cycle date , along with the 1st cycle ending ahua date ? [7:22:48 AM] S: but; will it go back 9,360,360 days ? For the Mayan Elders this will be a period where there will be collapse of false belief systems, both sacred (religious) and secular (such as science based on mechanistic materialism) as a new paradigm begins to emerge. Thus, people will lose confidence in religious leaders and government officials, leading to doubt and distrust of world leadership in providing the necessary solution and guidance during this period of unprecedented global crises. According to the Mayan Elders, during the period of 4-Ahau k’atun (1993 – 2012), resources will be scarce, natural disasters will increase, and the people will be troubled and anxious about what the future may bring. This k’atun also states a period of remembering (old) and recording knowledge. From this, many Mayan Elders believe that the Mayan Masters will reincarnate during this period to spread the wisdom and knowledge throughout the world to ease the time of purification, and open the way for collective transformation. For half of the k’atun there will be food, for half some misfortunes. This k’atun brings the end of the “word of God.” It is a time of uniting for a cause. According to Mayan Elders during the period of 8-Ahau k’atun (2012 – 2032), scarcity in essential resources (food, fuel, and water) and economic distress will continue to intensify, as natural disasters will accelerate and increase in frequency. This k’atun also states the end of the “word of God.” For the Mayan Elders this will be a period where there will be collapse of false belief systems, both sacred (religious) and secular (such as science based on mechanistic materialism) as a new paradigm begins to emerge. Thus, people will lose confidence in religious leaders and government officials, leading to doubt and distrust of world leadership in providing the necessary solution and guidance during this period of unprecedented global crises. Our solar system, the Sol System, is located in our galaxy, the Milky Way, at the outer reaches of the spiral arm, the Orion arm, and is approximately 26,000 light-years from the center. As the Solar System orbits the Milky Way galaxy it follows a path that travels above and below the equator of the galactic plane. The Mayan Calendar is based on a 260-day astrological almanac that is based on a sacred divinatory tradition. The Mayans systematized time in blocks of 20 years and grouped these in sets of 13. The core of the Mayan Calendar is a prophetic calendar based on 13 numbers and 20 astrological day signs. The 13 numbers cycle through the Mayan day signs 20 times (13 x 20 = 260), taking 260 days for a complete cycle. A complete 260-day cycle is called a tzolkin by the Mayans, and closely correlates the Venus visibility interval (length of time as either “The Morning Star” or “The Evening Star”) of 263 days. According to the Mayans the completion of a Long Count is 5,125 years. The Long Count is subdivided into 260 sections (5,125/260 = 19.71) resulting in nearly 20-year units of time that correlates closely with the Jupiter/Saturn cycle of 19.86 years. These 20-year intervals are known to the Maya as k’atuns. K’atuns are generational markers for the Maya that are marked by sacred ceremonies (as one ends and another begins) each having their own set of prophecies associated with them. So there are 260 k’atuns in the Long Count, and December 21st is the end of the last k’atun. Although there is no clear prophecy according to Mayan scholars for the ending of the Long Count on December 21st, there are prophecies for the groupings of the 13 k’atuns (19.71 x 13 = 256.23 years) known as the Short Count, found in the Maya sacred book of the Chilam Balam (Jaguar Priest). The k’atuns were read by the Mayan priest for purpose of divination – in tandem with the Tzolk’in – the 260 day calendar, that foretold the fate of their civilization for that particular period. There will be scarcities of corn and squash during this k’atun and this will lead to a great mortality. It is the k’atun of remembering and recording knowledge. This was the same k’atun period during the founding of Chichen Itza (832 AD), a large pre-Columbian city built by the Maya, when the man-god Kukulcan (also known as Quetzalcoatl) arrived. The prophecy states “this is a time for uniting for a cause.” The Mayan Elders say this will be period of suppression of dissenting voices in all areas of life by governments creating civil unrest that will lead to violent forms of group defiance and rebellion. Nations will suppress other nations, groups will suppress other groups, and the use of violent force will increase. Therefore, we are likely to see a reemergence of large scale organized protest movements around the world, e.g. “Occupy All Street,” with the primary driving issues being social and economic inequality, corporate greed, and the unwarranted influence of banks and the financial sector on government. The Mayan Calendar End Date is set for December 21st, 2012 at 11:11 AM GMT in Chichen Itza, Mexico. From the perspective of contemporary Western Astrology, the horoscope for this cosmological event shows the Solstice Sun at 0° Capricorn at the World Point shortly before dawn. The most outstanding configuration in the horoscope is a Yod, also known as the Finger of God that consists of two planets sextile (60° aspect) in relation to each other, with both quincunx (150° aspect) in relation to a third. In the Mayan End Date horoscope, Saturn (8° Scorpio) and Pluto (8° Capricorn) are in exact sextile with each other, with both in quincunx to Jupiter (8° Gemini). The Yod configuration aspect activates a powerful conduit of energy from the two harmonious sextile planets (Saturn and Pluto), in the direction of the quincunxed planet (Jupiter). The meaning the Yod configuration may augur the process of collective spiritual maturation that will require humanity to discard religious dogma and restore its relationship between man and God in order to be in the right relationship with the Divine. This configuration also suggests that many of the intractable problems facing our civilization will reach crisis level, causing great suffering that will deepen humanity and make it question and be more open to a greater understanding of the higher laws of life and the universe. Also in the horoscope figure the Moon is in Aries, separating from a conjunction of Uranus, while the Sun is close to the Galactic Equator (27° GC), exactly sextile Neptune, and forms a conjunction with Pluto. Thus the Mayan Calendar End Date may signify a radical reconfiguration of our civilization marked by a period of deep soul searching, as humanity begins to seek the answers to its own enigma as a species and the meaning of its existence and place in the cosmos. The Mayan Elders have stated that the meaning of the Long Count Calendar change is a time of purification and a period where humanity must undergo a collective spiritual death-rebirth transformation in order to overcome its dark, destructive nature. Therefore we are not facing a single moment of change but an era of change. According to Jose Arguelles, the person who put the Mayan 2012 end date on the map, says, “Everything that we know, everything that we are, is about to undergo a substantial and radical alteration.” The end result is that the human mind/body is evolving so that we can become empowered multi-dimensional beings. Time is accelerating due to that fact the Solar System is passing through high-energy particle zone in space. The high energy particles are bombarding our bodies affecting our (junk) DNA, thereby increasing cellular frequency. Therefore thought-to-action, e.g. the “Law of Attraction”, will accelerate along with the general rate of cause and effect. If Arguelles is right, signs of meta-consciousness will likely increase as we begin the Mayan 5th Age of the Sun. Therefore we can expect a dramatic increase in meta-conscious states, such as intensified level of synchronicity (unique timing of events that seem related, but not caused one by the other), an awakening to ESP and telepathy (to know things outside the rational mind), heightened altered states awareness that allow one to see and feel energy fields, and the ability to remote view the future. Western astrology also indicates that we are also in an era change based on the Barbault Planetary Cyclic Index between 2001 and 2022, and a succession of major outer planetary alignments positioned on the Cardinal Points (Equinoxes and Solstices) happening between 2008 and 2016. The Cyclic Index is plotted by calculating ten subsets of angular separations of the five outer planets, Jupiter through Pluto. The angular separations of Jupiter-Saturn, Jupiter-Uranus, Jupiter-Neptune, etc. all the way through to the tenth subset, Neptune-Pluto, are added together and plotted on a graph. The ascending arcs of the graph are times when the planets are moving toward (0°-180°) opposition. In the example above the four outer planets (Saturn, Uranus, Neptune, and Pluto) began moving toward opposition after 1914 and were farthest apart shortly after the Jupiter/Saturn conjunction in September 1921. The upward phase of the Cyclic Index indicates the period’s economic growth, expansion and development. The upward phase coincides with collective optimism, social stability, advances in civil rights and emancipatory movements, creative breakthroughs and innovation, scientific ingenuity, public unrestraint, and periods marked with prolific artistic creativity. Descending arcs are times when the planets are moving toward (180°-0°) conjunction. Troughs in the graph are thus planetary line-ups. In the example above, the four outer planets (Jupiter, Saturn, Uranus, and Pluto) began moving toward conjunction after the Jupiter/Saturn opposition of July 1932 and were closest together in February 1941. The downward phase of the Cyclic Index coincides with periods of economic contraction and financial crisis. The downward phase coincides with societal breakdown, increasing pessimism, political instability, reactionary movements, resource crisis, periods marked by confusion, general chaos, restraint and moderation, global tension, military conflict, and destructive resource wars. The fluctuation of the Cyclic Index originates in the alternative movement of the ascending (0°-180°) and descending (180°-0°) phases of all the cycles, as if the solar system was expanding and contracting. The good periods go hand-in-hand with celestial expansion, as the planets separate from each other, and the critical times occur simultaneously with planetary concentrations, or conjunctions. As an example, in the 20th century the Index collapsed at the time of both the First and Second World Wars. Astrologers who have studied the Cyclic Index in depth agree that it is a reliable future indicator of global economic and social stability, political relations, military conflict, and technological development. The first decade of the 21st century spanning from 2000 to 2008 illustrates a long downward phase in the Cyclic Index. This period began with a significant stock market correction in March of 2000 followed by the September 11th attacks in 2001 that triggered a war in Afghanistan and subsequent U.S. invasion and occupation of Iraq in 2003. In general the decade was dominated by several wide ranging topics, such as international terrorism, nuclear proliferation in North Korea and Iran, major trade imbalances, concerns over energy resources, increasing global demand of oil from the Middle East, global warming, the rising economic growth of China and the slow but steady economic decline of Japan, and the United States. During 2010 the slow-moving planets of Jupiter, Saturn, Uranus, and Pluto formed a T-Square configuration (when two or more planets in opposition make a square to a third planet), within 0° of the World Points of the Cardinal signs. The World Points are 0° of the Cardinal signs (Aries, Cancer, Libra, and Capricorn) and 15° of fixed signs (Taurus, Leo, Scorpio, and Aquarius). Planets located at these degrees express their archetypal power on the global stage with direct and unequivocal force, like a super volcano ready erupt. The outer planet Cardinal T-Square alignment in late July 2010 corresponded to a period marked by a tangible intensification and acceleration of imminent environmental catastrophe, and near-term exhaustion of natural resources and fossil fuels due to exponential population growth and accelerating global consumption. This period has also been marked by a stagnating global economy and a worldwide debt crisis that reached a dangerous new phase, particularly in the United States, Japan, and the Eurozone which is clearly in an advanced state of decline. The Uranus-Pluto square alignment will have seven exact passes from 2012-15, making it the longest alignment of Uranus to Pluto in more than 500 years. In 2012, there were two of seven Uranus-Pluto square alignments. The Mayan Long Count will occur nearly 93 days after the second Uranus-Pluto alignment on September 19, 2012. If the Mayan Long Count could be compared to the hour hand of a historical clock, the Planetary Cyclic Index would be the minute hand, and the Uranus-Pluto square alignment would be equated as the second hand. The general tenor of Uranus-Pluto alignments is revolution – the Dionysian (Pluto) impulse for revolutionary empowerment and Promethean (Uranus) thrust for radical change and innovative reform to establish a new order. Uranus-Pluto alignments have historically correlated with periods of social breakdown and the collapse of old forms and structures as potent instinctual forces emerge from within the collective that are stronger than the existing power structure to contain it. Below is a listing of the Uranus-Pluto major alignments, the starting and ending dates, accompanied with the most significant historical events during the 220-year period following the discovery of Uranus in 1781. “Occupy All Street” Global Protest? The Breakdown of 2-Party System of Government? The next Uranus-Pluto square alignments will occur on April 20th and on November 1st, and will be hitting the heliocentric North Node of Jupiter – the planet of economic expansion and wealth. Therefore we can expect a continued intensification and acceleration of social and political breakdown among many nations throughout the globe, particularly in the European Union, due to a weakening economic environment of bankruptcy, monetary debasement, high unemployment/underemployment rates, large scale demonstrations, nationwide strikes and riots in major cities, leading to increasing polarization and political partisanship and government in taking measures against its own citizenry, that will ultimately lead that radical reconfiguration of the monetary system and global power structure. 2012 – 2024: A pronounced drop of the Barbault Planetary Cycle Index occurs 497 days after the Mayan End Date, during the peak of the Uranus-Pluto square alignment in the spring of 2014. The Cyclic Index continues to decline until it reaches its baseline trough in 2020-22, during the Saturn-Pluto conjunction, and remains there until 2024. The “Great Recession,” that began in 2007 (Phase I) in the United States under G.W. Bush during the Uranus-Saturn opposition when the Saturn-Pluto square was in applying orb, was followed by a liquidity crisis in 2008 . This was followed by a sovereign debt in Europe and global bank solvency crisis in 2010 (Phase II) as the Uranus-Pluto square was in applying orb. Since 2010 the deteriorating global economy and financial markets have been artificially bolstered by massive amounts of monetary liquidity (digital money creation) by the central-banks. As we approach the Mayan Long Count in late 2012, we are close to the global economic “tipping point” (Phase III) where sovereign debt and bank solvency issues will reach crisis level in Asia, such as Japan which is already buckling. To the Mayans, the approach of Long Count End Date represents the end of a 25,625-year long cycle that began in 3113 BC and signifies the transition from one world age to another, as humanity moves into alignment with higher consciousness. The period from 1998 – 2016 is the “Sacred Hall of Mirrors” that, according the Mayans, is a time of upheaval (storms, earthquakes, global warming, economic collapse, social revolution, food and resource shortages, radiological contamination, destructive war) that would hasten the awakening of humanity and the rise of global consciousness and become the dawn of a new era in human civilization. Therefore, we should expect a period of continued global economic contraction leading to depression level status in certain G20 nations including the United States, friction over trade and resources among nations, high unemployment acceleration of extreme weather, and general world decay, leading to large-scale protest, revolution and war from 2012 to 2022. However, starting in 2023 the Cyclic Index moves into an upward phase, indicating a period of rapid economic growth, social and cultural development and general optimism. Most likely, astounding technological progress and spiritual advancement will be the central feature of this decade. In fact, it is even arguable that during this period we can expect the rise of artificial life on Earth with greater-than-human intelligence as we begin to develop the first generation computers that are self-aware with superhuman intelligence – A.I., where large computer networks that become sentient. We can also expect the development of nanotech computer/human interfaces that will give humans superhuman intelligence. Also, we can expect a major breakthrough in alternative energy systems and the full implementation of fusion power to begin to replace diminishing fossil fuel reserves. We can also expect major breakthroughs in the biological sciences that will improve the quality of human life and dramatically extend lifespan with minimal aging. As we approach “technological singularity” by 2030, humanity will be at a turning point by being the first species to be on the verge of taking control of its own evolution. Different types of technology – genetic, robotic, information, and nanotech – will converge and will lead the human enhancement capabilities that will literally change what it means to be human. 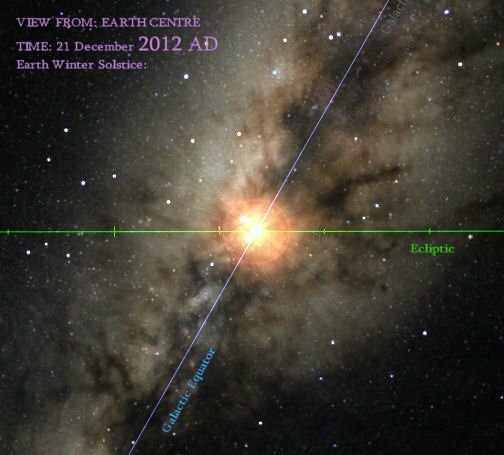 2012 is about the alignment of the Solstice Sun passes through the galactic equator the center of the Milky Way galaxy. Our solar system, the Sol System, is located in our galaxy, the Milky Way, at the outer reaches of the spiral arm, the Orion arm, and approximately 26,000 light-years from the center. 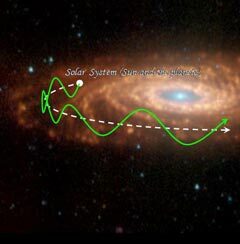 As the Solar System, orbits the Milky Way galaxy follows a path that travels above and below the equator of the galactic plane. The Mayan Long Count calendar was developed around 200 B.C.E. in Izapa, Mexico, using data calculated over hundreds of years. The Long Count Calendar start date was August 11th 3114 B.C.E and the target end date will be on December 21st, 2012 during the rare alignment with the solstice sun with the Milky Way galaxy. The completion of a Mayan Great Cycle = 5,126 years. 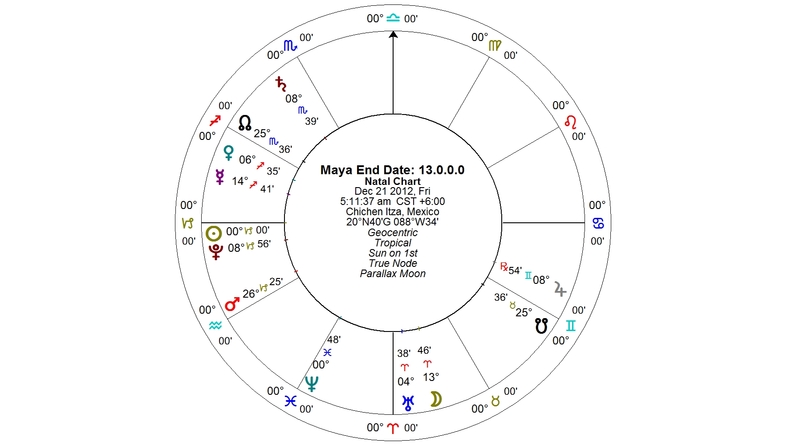 The 13.0.0.0.0 – baktun cycle (5,125 year) of the Mayan Long Count: measures the changing of the “suns” in the precession of the equinoxes; a 26,000 galactic cycle. The precession of a Mayan Grand Cycle of 25,630 years is made up of 5 Great Cycles of 5,126 years each. According to the Mayans we are in the 4th Age of creation and completing the end of one Grand Cycle.The significance of 2012 is the end of the present 4th Age. According to the Maya the end of the 4th Age is a time of purification, not destruction, and the beginning the next age of transformation. The Maya view 2012 as a time to use ceremony to terminate the old and consecrate the building of the new. According to the Mayan elders ritual can smoother the shifting of the flow of k’ul and help one see the right path to take make the necessary changes in mind and heart to see through the challenges we will face in the upcoming 5th Age. 1993 – 2012: The Mayan katun prophecies are in the book of the Chilam Balam. The katuns were read for divination and prediction in tandem with the Tzolk’in – the 260 day calendar used by the Mayans. The katun prophecy leading into 2012 alludes to a time of purification and drastic change as the old order is taken down so the new world can be constructed. The present katun of 4 Ahau that began April 6th 1993, will be a time of great difficulty resulting in mankind’s disharmony of spirit. Governments and religions will begin to fail and lead men astray. Resources will be scarce, natural disasters will increase, and people will be troubled and anxious about what the future may bring. The katun also talks of “remembering (old) knowledge and writing it down.” The Maya believed that the Mayan masters will reincarnate prior to 2012 to spread the wisdom and knowledge throughout the world to ease the time of purification, and open the way for collective transformation. 2012 – 2032: After a difficult adjustment period, there will be a dramatic rising of global consciousness. People will be reunited with the wisdom of the ancient past as new age for mankind begins to unfold. Many will be drawn to sacred sites, places, and temples to remember the past ages of profound knowledge and lost wisdom. This will be a time of change and renewal. The Maya say it will be time of great opportunity when the Gods (Extraterrestrials?) actually come to visit Earth, brining enlightenment that will culminate in 13 Ahau by June 19, 2032. The Mayan katuns make it clear we are not facing a single moment of change but an era of change and we are already in that era. The Mayan elders say in order to change the direction we are going requires a change in the way of thinking a perception about life, spirit, and our place in the universe. The Maya predicted life would become difficult because we lost balance with nature and the Earth will get more extreme to bring us back to balance. According to the Mayan elders people as we approach 2012 the energy of purification will intensify before the transformation process occurs when the 5th Age begins. Until then social division and strife between people and groups will increase. Resources (food, fuel, and discretionary income) will diminish as competition for necessities (job, home, transportation, and education) increases. The Mayan elders say this is a time when difference in ideology will not be tolerated. There will be a suppression of dissenting voices in all areas of life by governments, creating civil unrest that will lead to violent forms of group defiance and rebellion. Nation will suppress other nations, groups will suppress other groups, and the use of violent force will increase. Signs of meta-consciousness will increase during the paradigm shift toward Maya 5th Age. Therefore we can expect a dramatic increase in meta-conscious states such as intensified level of synchronicity (unique timing of events that seem related, but not caused one by the other), an awakening to ESP and telepathy (to know things outside the rational mind), heightened altered states awareness that allow one to see and feel energy fields, and the ability to remote view the future. According to Jose Arguelles, the person who put the Mayan 2012 end date on the map, says “Everything that we know, everything that we are, is about to undergo a substantial and radical alteration.” The bottom line is that the human mind/body is evolving so that we can become empowered multi-dimensional beings. Time is accelerating due to that fact the Solar System is passing through high-energy particle zone in space. The high energy particles are bombarding our bodies affecting our (junk) DNA, thereby increasing cellular frequency. Therefore though and action will become accelerated as well as the general rate of cause and effect. As we approach 2012 the level of uncertainty will continue to increase, therefore during this transition you will need to learn new skills, be open to new ideas and beliefs, and cultivate new behaviors. Essentially you will be called to change at a deeper level in order for you to experience your higher spiritual and human potential. Many people who are resistant to the changes that are leading up to 2012, who are unwilling to outgrow ingrained habits and belief systems based on their cultural conditioning will experience increased stress and agitation, have trouble staying focused on mundane matters, lose interest in things they always enjoyed, begin to feel long-standing goals that excited them in the past have become out of reach, being excessively moody and overly sensitive to other, having greater and great difficulty with managing their finances and/or meeting their material needs, and feeling polarized with family members and friends over differing worldviews. Those people who are open to change and cultivate flexibility in their lives during this time of transition will feel the effects of the coming Mayan 5th Age by showing more of an interest in the new ideas and unusual activities, approach problems in new ways, want to spend more time in nature, notice a major increase in synchronicity, be drawn to a more holistic and natural lifestyle, feel more connected with animals and plants, experience new sensations in your body such as vibrations or electric currents, feeling emotions more deeply then usual thereby having more empathy for others, notice quick results from being proactive and positive in your thinking, having unexpected opportunities fall in your lap, and standing up for yourself when confronted. Many people will be outgrowing the current career, past goals, and interest. The importance of time acceleration is that consequences of thoughts and actions happen more quickly. Many people over the course of the 2012 transition will begin to move toward a more authentic lifestyle living their lives that will reflect their inner truth. Many people will refer more and more to divination to help them make important decisions in their lives and rely less and less on conventional expert advice. Lastly, during this transition everything based on the old system is going to be challenged. People will be going through an internal cleansing and purification during this period forcing to face their shadow; that aspect of one’s psyche of one’s fear, hurt, pain and underdeveloped emotions that they create excuses around.